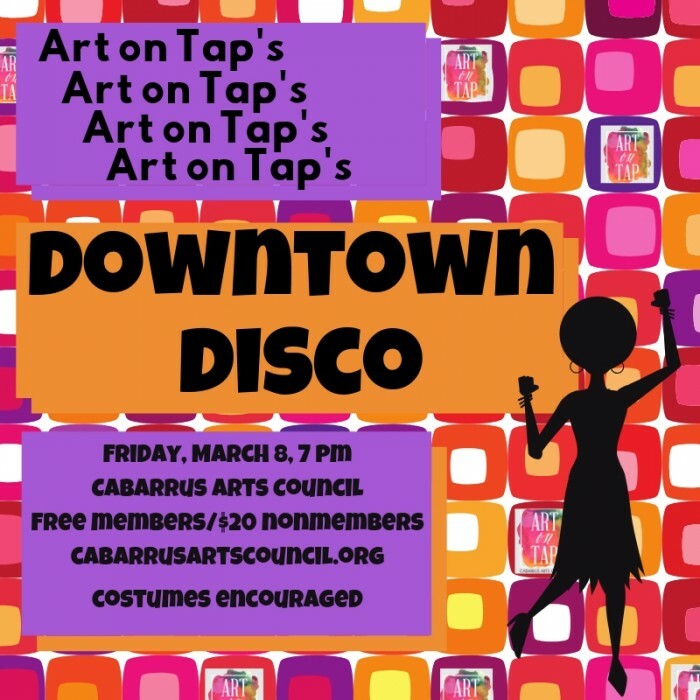 Art on Tap’s Downtown Disco; Friday, March, 8, 7pm; Put on your butterfly collars and bellbottoms Friday night when The Galleries turn in Studio 65 for Downtown Disco; Professional dance instructor Glenna Wilson of Dance Dreams Studio will be there to make sure everyone knows how to get their groove on and DJ Kristie of Swanson Entertainment Co will spin the disco vinyls the whole night long. Craft beer will be provided by High Branch Brewing Co. We’ll have nibbles, too. Art on Tap is a membership organization for young professionals 21+; membership details at https://cabarrusartscouncil.org/community/young-professionals; Cabarrus Arts Council, 65 Union Street S, Concord; www.cabarrusartscouncil.org.